Monster High™ Unearths New "Monster High™: 13 Wishes" DVD | Mattel Inc.
EL SEGUNDO, Calif.--(BUSINESS WIRE)-- Just in time for Halloween, Monster High™ unearths freaky-fab new monsters in the new movie "Monster High™: 13 Wishes." In partnership with Universal Pictures, the third feature-length film from Monster High™ brings to life the age-old adage of "Be scare-ful what you wish for." 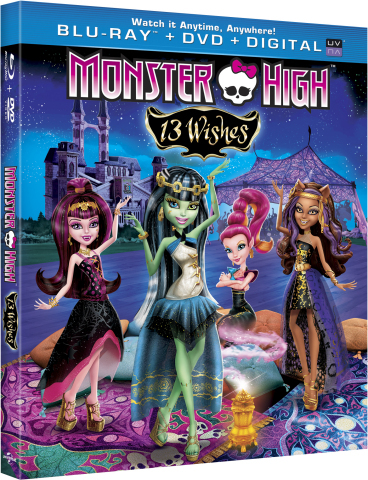 The film introduces new ghoul, Gigi Grant™, who comes to Monster High to grant the ghouls not three, but 13 wishes! 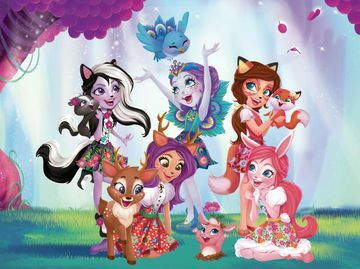 Girls can play out their own fangtastic wishes with a line of themed dolls, toys and a video game available at retailers nationwide. The "Monster High™: 13 Wishes" DVD retails for $19.99. Visit MonsterHigh13Wishes.com for more information. MONSTER HIGH and associated trademarks and trade dress are owned by Mattel. ©2013 Mattel. All Rights Reserved.